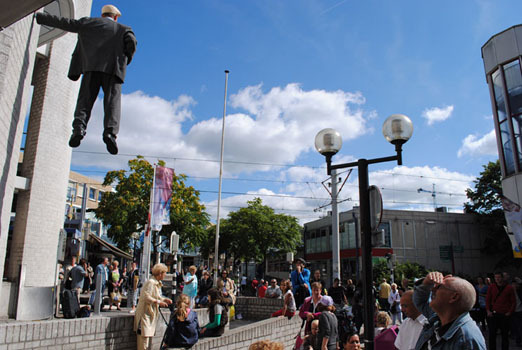 We suprised the people of the city Nieuwegein by hanging a man high and relaxed against a wall of the city theatre. Johan Lorbeer is the German artist who created this magical performance. He became famous in the past few years because of his “Still-Life” Performances, which took place in the public area. 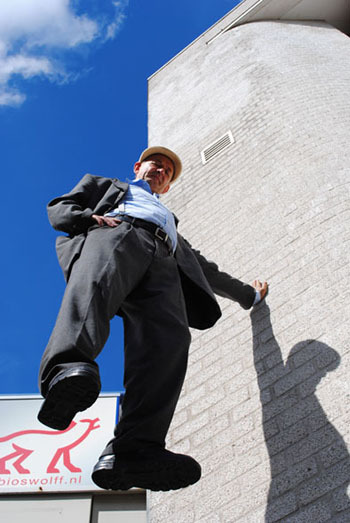 In these performances he seems to unhinge the laws of gravity. 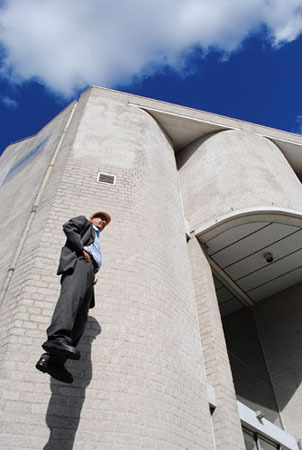 For hours on time, he remains, as a living work of art, in physically impossible positions. Elevated or reduced to the state of a sculpture, he interacts with the bewildered and irritated audience, often culminating in the wish to touch the artist in his superhuman, angelic appearance in order to participate in his abilities.